To the west of Rothbury, at the mid-point of the National Park, lies Coquetdale. 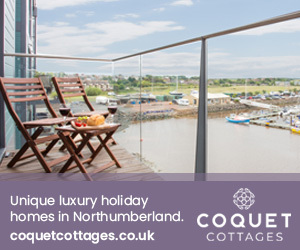 Through it, the River Coquet meanders past rolling moorland, rocky outcrops, ancient hay meadows, picturesque villages and towns. Visit picturesque Harbottle with its ruined castle or Alwinton‘s beautiful setting surrounded by rolling hills. Does the mystery of Holystone and Lady’s Well appeal; There are rumours that it was originally associated with the Anglo Saxon Saint Ninian. What about the mysterious rock art at Lordenshaws? Here you can be transported back to prehistory by hillforts, burial mounds and intriguing rock carvings our ancestors left behind. Perhaps you want an insight into the turbulent past at Tosson Tower and Woodhouses Bastle? Or for an adrenaline boost and wild, open views, take on the Simonside Hills.